Huawei P10 review: Android's iPhone-killer, or flawed imitator? The P10 feels like a coming of age device for Huawei. The experience is sleeker, the software more mature, the finish more refined than it has been before. Add in great battery life, decent dual camera and microSD expansion (or dual SIM) and there's a lot to like. There's all the power and usability you're likely to ever need from a phone. It's not often a phone is revealed in a green colour finish. Or "greenery" to give it full credit. Which, as it so happens, is Pantone's colour of the year 2017. It's also Huawei's oh-so-on-trend colour for its brand new P10 smartphone. Yes, ok, so you're staring at blue version of the device for this review (technically "dazzling blue" in Huawei speak) - but this one is actually the best-looking colour of the lot (mystic silver, graphite black and dazzling gold will also join the UK line-up). All this talk of colour, yet the Huawei P10 isn't just about trying to catch your eye. This palm-sized 5.1-inch device is the Chinese firm's latest bet that it can take on the iPhone in Android form and win: it looks fairly similar and there's iOS-alike elements in the user interface too. And yet it's rather different in other dimensions: it's got all of the company's latest smarts on board, including Leica Dual Camera camera technology, updated EMUI 5.1 software skin, the top-spec Kirin 960 processor and a newly front-positioned fingerprint scanner. Having lived with the P10 for two weeks and seen it through numerous pre-release software updates, this phone actually succeeds in many of the areas where the palm-sized P-series has failed before. If you're looking for a phone that bucks the big screen trend, then this Huawei is in contention to be one of the most suitable phones for your needs in 2017. Throughout its various iterations the Huawei P-series has slowly refined itself into a shapely, good-looking phone. The P10's 5.1-inch screen size puts it into the smaller scale bracket of phones these days (it's marginally smaller than the earlier P9 on that count too), especially with so many equal-or-greater-than 5.5-inch handsets arriving to market. And that point is exactly why its P9 predecessor was so popular: not everyone wants a hulking great phone and if you do then there's always the P10 Plus. This so-called dazzling blue model has a diamond cut back - which takes eight and a half minutes to produce per device, Huawei says - that gives a textured, semi-glossy finish. We think the colour choice is great, while rear fingerprints aren't as prominent an issue compared to a glossier handset. We wouldn't, however, describe it as "dazzling" - it's a subtle colouring, as though the texture stops the light reflecting from the surface like it otherwise would - and it's not fingerprint or scratch resistant by any means (indeed, marks can get deep set into that texture and won't clean out). Other than the colour, the P10 isn't a wild reimagining of the series; more a nip and tuck revision of the P9. There's more fluidity to the back camera plate which stretches across the width of the device, while the intersecting antenna lines now follows the flow of the body shape - which is a really neat way to make them almost invisible. The phone's corners are slightly less square this time around, too, which softens the overall look and makes it more comfortable to hold. Perhaps most notable of all is the once hallmark rear-positioned fingerprint sensor is no more. Instead it's found around the front, positioned where the would-be home key would otherwise be positioned. It's a bold move shifting where that fingerprint scanner sits - we've felt the back location always felt so natural. But it's on the front for a reason: this fingerprint sensor doubles up as a gesture-control pad in place of the traditional home/back/apps Android soft keys (if you prefer - this feature isn't active by default). It even offers haptic feedback to gently vibrate when pressed to simulate a sort-of button press - much like the iPhone 7's Home key. The sensor includes predictive fingerprint tracking, too, so the phone will be able to sense where on the scanner you're about to press, based on initial movements, for heightened response. However, the whole gestures process takes some learning, and you might never get on with it. We find it slower to use than the soft keys, overall, plus some functions are scruffier: swiping left to go back a page within a settings page, for example, will instead show you all open apps, which disrupts the flow and means more finger poking on the screen itself; this is exacerbated because that's not the case in all apps, such as Firefox where the gesture functions to go back a page no problems. The gestures idea is a logical solution to avoid those Android soft keys from eating up screen real-estate, but it's going to be a love or hate situation for many. Saying that, with the likes of Motorola pursuing similar in the G5 and G5 Plus, and OnePlus' off-screen buttons, the proliferation of Android controls already available may see more manufacturers taking on this type of technology and it becoming the control norm. Huawei's terminology to describe the fingerprint sensor as "seamless" might sound odd too. It's described as so because the whole front is a single piece of glass, including that which covers the sensor. As you can see from our images the recessed form makes the sensor look like a separate piece, though, so there's no real-world sense that it's an all-in-one piece, really. In many ways, it's the same as HTC's recent implementation. While many top-tier Android devices are pushing higher resolutions, Huawei is sticking with a Full HD (1080p) panel in the P10. It's an IPS LCD which means viewing angles are decent, while auto brightness and colour temperature seem pretty good from our time living with the handset. If you want to tweak things then EMUI 5.1 will offer manual colour balance and low-light comfort reading options too. The twist actually comes from the P10's bigger brother, the P10 Plus. We know, we know, we've taken until now to mention the elephant in the room in more detail: the 5.5-inch larger, more powerful and better-equipped model comes with higher resolution panel and a larger battery to support that upgrade. And at just €50 more than the P10 it, to us, seems like the far better buy of the two [edit: in the UK it's actually £110 more, as is the way with current exchange rates]. But that's our personal preference of a larger phone - and as we said up front, the "standard" P10 will sell on account of its size anyway. Huawei P10 vs P10 Plus: What's the difference? Does the resolution of the P10 matter? Not that we've seen. Unless you're going to be rubbing your retinas across the front of the panel, it hardly comes across as low-res by any means. The only really grating thing about the screen is its lack of an oil-resistant coating, meaning rainbow-coloured smeary fingerprints - the unavoidable product of human skin, with no correlation to how much olive oil you've put on your salad - are all too apparent and you'll be constantly rubbing them around the screen to try and rid of them. It's particularly noticeable at night and particularly difficult to present in photographs. A foolish oversight, it must be said. Under the hood of the slender P10 body is the company's current top-spec config processor: the very same as you'll find in the Huawei Mate 9. That means Kirin 960 octa-core, 4GB RAM and 64GB on-board storage. That all adds up to a largely fluid experience - similar to what we've experienced from using the Mate 9 for many months. We used Huawei's Phone Clone app to move from the larger device into the smaller one and, having done so, can only spot minor performance differences between the pair. The P10 is quick to open apps, swipe between screens, but some apps aren't completely fluid when scrolling (Facebook hangs a little, which may have something to do with the new software). And while the GPU is so much better than in the previous P9, in games it can sometimes stick before releasing a burst of ultra-fluid motion in a shorter time-frame than you might expect. It's 95 per cent on point, but compared to ultra-fluid devices like the Google Pixel, these tiny details matter when handling real-world apps. There's a microSD card slot in the dual SIM tray too (as you're not using two SIM cards) should you want to expand upon the 64GB by up to another 256GB using a card. Plenty of space. There's always a lot of chit chat about Huawei's software. Built on the latest Android operating system, the company's EMUI re-working adds some interesting features. Our favourite is App Twin, which allows two Facebook/WhatsApp/WeChat/QQ apps to run in the one OS (one per SIM). There are also knuckle-based commands (for when fingertips just aren't enough! ), and machine learning for an optimum long-term user experience. We've written about EMUI 5.0 extensively, take a look below. In the P10, Huawei has gone one better and introduced the latest iteration of its software: EMUI 5.1. This modifies the machine learning based on user behaviour, introduces some compression for lesser used apps, and heightens responsiveness. All things that we can't really comment about, because we're not deconstructing the phone to that level - as no user will. Another quirk is the UX will match your device's colour choice straight out of the box (blue meets blue, green meets green, etc - which can be updated within Themes as you please). But these Themes are still a clear weakness: by default the starry background and jaunty looking app icons and colours just come across as aesthetically jarring. Selecting other options can pretty things up a bit, but even with EMUI's big push towards style and sophistication it lacks the visual polish of, well, the iPhone or Samsung's TouchWiz. One positive we've spotted with EMUI 5.1 is that it's less persistently annoying than the 5.0 and previous versions. Before you'd have to put up with constant prompts about app battery power. Now it's better paced with prompts, rather than relentless. But it's worth pointing out that this is still a thing Huawei does: tries to get you to disable apps from running in the background to save battery life. Having moved beyond pre-release software, we're impressed with the P10's battery performance. The P10 easily trumps the iPhone 7's battery: we're getting around 18-hours of proper daily use from it. Not light use either: WhatsApp and Slack are always running, as are browsers and the occasional dabble in some gaming. If you do end up needing a quick plug-in then the rapid charging technology sees the battery top-up in ultra-fast time too. Huawei's most advanced camera setup comes from - drum roll please - the P10 Plus. The larger-scale device plumps for Leica Summilux optics at f/1.8, rather than the f/2.2 Summarit lenses in this smaller P10. That means a little loss in the amount of light available to the sensors, but otherwise the differences ought to not be huge. In terms of sensors, the P10's inclusion of two - one 20-megapixel black & white and one 12MP colour, much like in the Honor 8 - means various benefits: you can shoot in true black & white or in colour; using both lenses can create a depth map so software-produced background blur (bokeh) can be produced (down to a pseudo f/0.95, in true Leica style); and there's a 2x zoom without loss of resolution (even in colour; the camera can map the monochrome's resolution and apply the colour sensor's information to it, for a double zoom 12MP image). Perhaps best of the lot is the new Portrait mode, which is like a dialled-down version of Beautification from older devices. The P10 can 3D scan faces to recognise them, applying area-specific softening, colour balance and, of course, that bokeh effect for a more pro-looking shot. As you'll more than likely know from our general hounding of the "faux bokeh" effect, it's not this softening part of the feature that always works best - it's the camera's ability to identify a face and adjust the colour appropriately. It works really well. But back to that bokeh stuff for just a moment. Sometimes it can work really well. But as we've said of Apple, HTC and others over the years it's not flawless and can sometimes outright fail, or lack the precision required when viewed at full scale (i.e. off the 5.1-inch screen). Use it sparingly is our feeling. Again: some will love it, others won't. Besides, even without all the whizzbang of two cameras and various shooting modes, the main take-away point is that the P10's camera is really rather good. It times out too quickly and the camera positioning is far too close to the device's edge, sure, but get a great scene in front of you and this camera can do it justice. As we found out in Utah when watching the sun rise over the desert. Lastly there's another push from EMUI 5.1: a highlights reel, found under Discover in the Gallery app, which auto-tags images to arrange everything by categories, dates, events and, well, just about everything Apple does so well with Photos on iPhone. The P10 then auto-produces video snippets via the Quik app (produced by GoPro, but hidden behind the scenes in the P10, minus any branding) and offers them to you. Like it? Save it. Want to make adjustments? No problem, go edit. Find the whole over-dramatic music a laughable load of nonsense? Well, best stop the phone from creating or alerting you about any of these such clips every again then. The P10 feels like a coming of age device for Huawei. The experience is sleeker, the software more mature, the finish more refined than it has been before. Add great battery life, decent dual cameras and microSD expansion (or dual SIM) and there's a plenty to like. There's all the power and usability you're likely to ever need from a phone. It's not without shortcomings though: the screen and rear finish are prone to smeary fingerprints and marks respectively, the software's look and feel still lacks aesthetic appeal (the default Themes looks off to our eyes), and we're not sure that anyone will actually buy the elusive green(ery) finish either. The P10's main drawback, however, is less to do with the device itself, more how it sits against its surrounding competitors. The P10 Plus is, despite the larger size, the more accomplished device, while the also Huawei-made Honor 8 isn't a million miles away if you want a bling, youthful design. Then there's the Samsung Galaxy S7 (or curved S7 edge option) which has a must-have sense about its design. If palm-sized is your thing then Huawei is approaching its summit to perfection in the P10. The problem is that others are either a step ahead or a chunk of change cheaper. And let's not forget that screen: no oil-resistant coating might sound like we're nit-picking, but that's enough in itself to hold this phone back from feeling fully flagship. Look familiar? The iPhone 7 runs iOS so has a rather different feel compared to the P10. It's an obvious comparison, though, given the similar features. Another 5.1-inch device, Samsung has a very sleek software setup that we find more visually appealing. It might lack some of the P10's fun features - such as the dual camera and dual SIM - but as a cheaper alternative it's a logical buy with assured performance. Read the full review: Samsung Galaxy S7 review: Samsung's unsung hero? Shot from the back, but of course, as that's this particular Honor's selling point: its ultra-glossy design. 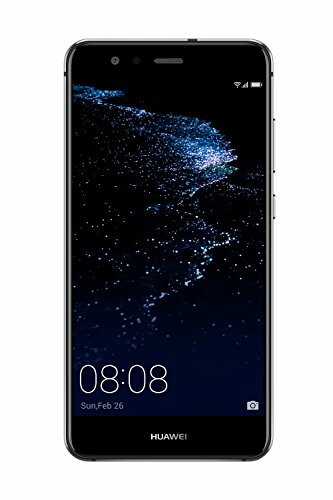 At £370 it packs in a lot of what the Huawei P10 offers - including dual cameras of a very similar quality - so you can see why it's a tempting proposition (and it's now running EMUI 5.0 too). The big daddy version of the P10. Ok, so it's larger at 5.5-inches, but with that trim bezel we think it fits oh so well in the hand. It's got better camera lenses, a higher-res screen, plus more storage and RAM. It all depends on size preference, but we feel this handset is where the real P10 magic will happen.